Jennifer is a senior paralegal who concentrates in the areas of product liability, personal injury, and toxic tort and mass tort actions. 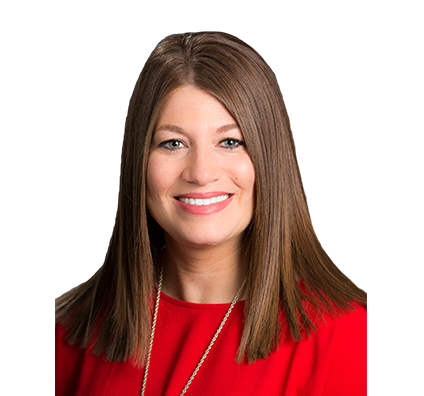 Jennifer is knowledgeable of all phases of the litigation process at the state and federal court levels, and she has experience assisting attorneys at trial with multiparty, high-profile litigation. Jennifer manages cases from start to finish, including initial investigation, discovery, arbitration and pretrial preparation. She is responsible for preparing and filing necessary pleadings throughout the litigation proceeding, including motions, notices, stipulations and affidavits. Jennifer has been involved with cases involving extensive discovery. She has assisted at client sites with large-scale document productions, case strategy meetings and attorney review teams. Jennifer also has extensive experience working with various litigation databases and software. The national trial defense team for a Fortune 1000 manufacturing company. Jennifer also handled the day-to-day management of the client’s toxic tort litigation across the country. The successful defense of a client against product liability claims, including failure to warn, defective product design and punitive damages. Representation of a manufacturer in the issuance of a warning notice for a consumer product of which more than 5 million were manufactured. Prosecution of a claim for misappropriation of trade secrets. After a weeklong preliminary injunction hearing, the Court entered broad injunctive relief in favor of the client. Successful multimillion-dollar settlements for clients on breach of contract and breach of fiduciary cases. Multiple dismissals and dispositive rulings on allegations involving claims that questioned the performance and safety of firearms and ammunition, including wrongful death cases.